Welcome to Dr. Garritano’s practice of plastic and reconstructive surgery. 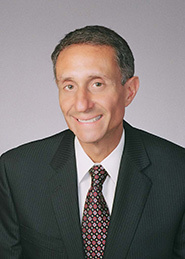 Dr. Garritano is a board certified plastic surgeon (American Board of Plastic Surgery) with 25 years of experience serving northeastern Ohio (including Akron, Canton, Salem, Warren, Youngstown) and Western Pennsylvania. The power of plastic surgery can help you age gracefully, improve your self-esteem, and transform your outer appearance. Dr. Garritano can help patients improve their appearance and regain beauty that has been lost due to adverse events, aging, cancer, weight loss or life in general. Nonsurgical antiaging treatments include fillers (Juvéderm), Botox, Latisse®, and Skin Care. Cosmetic and plastic surgical procedures include: Breast augmentation (enhancement) Breast reduction, Breast reconstruction following mastectomy. Dr. Garritano also performs: Abdominoplasty (tummy tucks), Liposuction, Mommy Make overs, Blepharoplasty (eyelid surgery) and many other general plastic surgical procedures. Dr. Garritano will guide patients through the initial consultation, the procedure itself, and all follow up care, to make each patient feel comfortable with all aspects of the process. How patients feel today matters, but helping them feel better tomorrow and following the surgery are goals he is committed to achieving. Contemplating cosmetic or plastic surgery can be a frightening and complex process. Dr. Garritano will do his best to make your visit not only informative, but a pleasant, compassionate, and positive experience. Please call the office with any questions you may have, or to schedule an appointment at 330-533-6999.